How frequently do bloggers publish? Where and when do bloggers write? How long is your typical blog post? What do bloggers include in their content? Is guest posting still a popular practice? Are bloggers updating older articles? How is your content typically promoted? How often do bloggers check analytics? 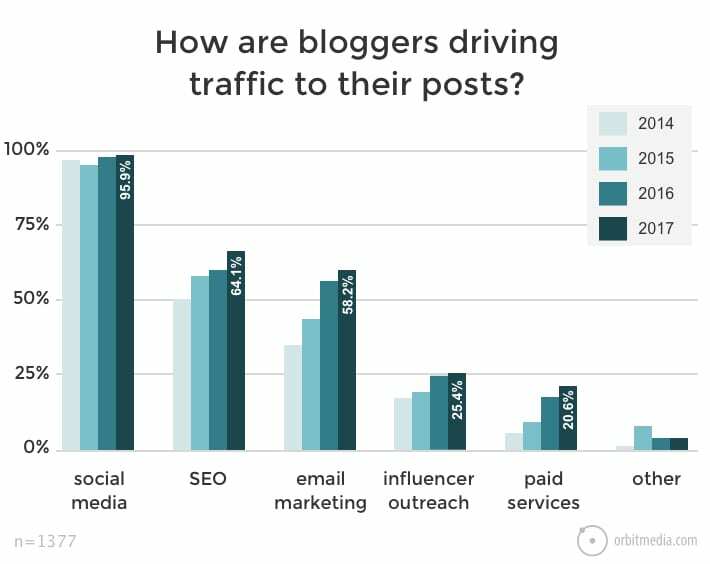 For each question, we’ll present the survey data along with analysis showing which types of bloggers are reporting the best results. And finally, we’ll share the insights of experts and friends. Now blogging has become one of the core pillars of digital marketing because it is like a fuel for inbound marketing, on social media platforms, forums and other platforms you market the content you develop for bringing users to your website. I personally believe that if you write a content post which is amazing and contains facts and figures in it along with having a certain content length then your content gets ranked organically as well without making any links.